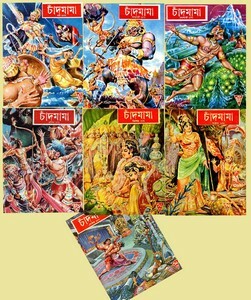 Chandmama- Bangla Old Magazine Collection in PDF files. Chandmama had a great missing magazine in Bangla. Till now when I read the magazine it seems that I have gone to the world of fairy. Every pages have colorful pictures and interesting stories, very excellent magazine for children. I do not know how much appreciation to the people of Bengali Language. However, I have several copies of the magazine and I'll share with you.